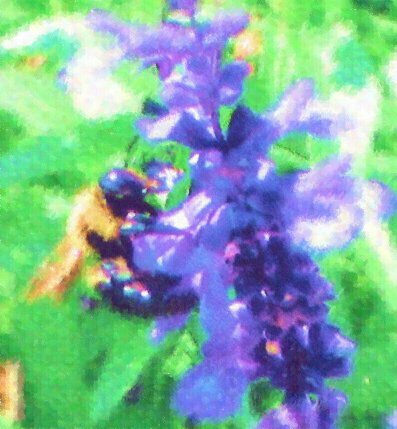 bumblebee on salvia. 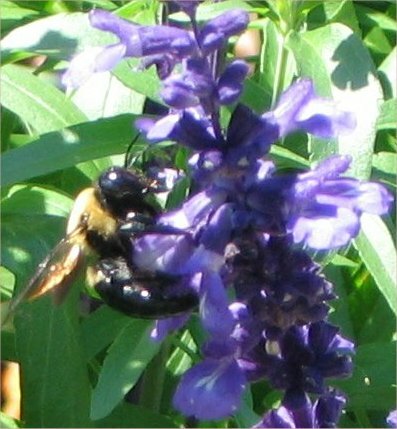 The bumblebees have been working my Victoria Blue salvia hard this spring. While I was working in that bed Monday I noticed this guy was doing his thing about 12″ from my head. I decided to grab my camera. It doesn’t look as nice as Loren’s transformations, but then I’ve just figured out how to do this stuff.